Charles Denbow was born at Monroe, Ohio, USA. Charles E. Denbow was born on 13 September 1877; Crowder,Missouri,USA. He married Mary Elizabeth Sanders on 6 August 1899. Charles E. Denbow Reference: Data from his grandson, Gary A. Denbow. He died on 15 September 1953 at age 76. Charles Raymond Denbow was born on 16 June 1887 at Derwent, Noble, Ohio, USA. He married Iva Etna Leonard circa 1904.1 Charles Raymond Denbow and Iva Etna Leonard were divorced after 1927 at Ohio, USA. Charles Raymond Denbow died on 2 May 1953 at Salt Creek Twp., Muskingum, Ohio, USA, at age 65. He was buried at Chandlersville, Muskingum, Ohio, USA. He lived in Akron during his working years and then moved to Muskingum County when he retired, according to some unsourced information at ancestry. This same family tree says he died in Salt Creek Twp., and is buried in Chandlersville Cemetery. [S221] 1920 U.S. Census, http://www.ancestry.com, Page: 24A; Enumeration District: 239; Image: 115. Christopher Denbow married Lula May Sweet on 29 March 1891. Clarence Audry (Bud) Denbow was born on 29 April 1908 at Chatfield, Navarro, Texas, USA. He Reference: Knowledge of brother, Claude Denbow. Says had 2children. Clarence Herbert Denbow was born on 1 January 1887 at Morley Township, Scott, Missouri, USA. He married Francis Burch on 13 September 1914; Dave says they were married by a Justice of the Peace. He hasphotocopy of marriage certificate. Clarence Herbert Denbow died in 1949; Blytheville,Mississippi,Arizona,USA. [S44] Interview, Floyd Denbow Jr., c 1998. Clem Simon Denbow, the father of Clem Simon Denbow, presented him for baptism on 15 January 1884 at Lewisville, Monroe, Ohio, USA. He was born on 15 January 1884 at Lewisville, Monroe, Ohio, USA. He married Pauline Irene Grindle, daughter of Asa K. Grindle and Mary Elizabeth Clark, in 1904 at Ashland, Ashland, Ohio, USA. Clem Simon Denbow was Barber circa 1920 at Ashland, Ashland, Ohio, USA. He was buried on 27 January 1963 at Ashland, Ashland, Ohio, USA. He died on 27 January 1963 at Ashland, Ashland, Ohio, USA, at age 79. Clyde Denbow was born in 1880 at Ohio, USA.1 He married Lizzie Cross in 1900 at Ohio, USA. [S30] "Contemporary FGS", FGFS filled out by Ann Denbow Burrows. Cora Ann Denbow was born on 25 March 1872 at Lewisville, Monroe, Ohio, USA. She appeared on the census of 1880 at Center Twp., Monroe, Ohio, USA, as daughter.1 As of 25 May 1898,her married name was Egger. 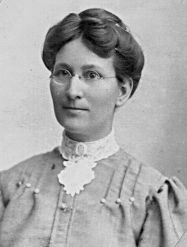 She married George Solomon Egger, son of Samuel Egger and Magdalina Christman, on 25 May 1898 at Monroe, Ohio, USA. She was a tall, slender lady with a real "'backwoods" approach to life. She used to pick herbs and flowers below the cliff in back of C. H. Denbow's house in Athens when she lived there the last two years of her life. She would predict the weather by looking at the back sides of leaves on trees in the woods. [S158] 1880 U.S. Census, 700 Pennsylvania Ave., NW, Washington, District of Columbia, USA, Schedule 1, Center Twp, ED 122, SD 7, page 30, dwelling 262, family 276, Numerous errors on this census form, includng Cora's middle initial as "M." instead of "A." and James middle initial as "F" instead of "T." However, this last one may be an old style "T" that the transcriptionist mistook for an "F."
Darling Denbow was born on 19 May 1861 at Monroe, Ohio, USA. David Denbow was born in 1838 at Indiana, USA. David A. Denbow was born on 2 May 1854 at Monroe, Ohio, USA. He married Margaret L. Kelley, daughter of Sebastian Cabot Kelley and Sarah Elizabeth Johnson, in 1873. David A. Denbow died in 1901. David Earl Denbow was born on 13 August 1904 at Navarro, Texas, USA. He died on 6 March 1989 at Navarro, Texas, USA, at age 84. He was buried at Corsicana, Navarro, Texas, USA. Delilah Jane Denbow was born in 1865 at Monroe, Ohio, USA. As of 1885,her married name was Smith. She married Robert S. Smith in 1885 at Monroe, Ohio, USA. Delilah Jane Denbow died in 1957. [S28] Letters and emails, Ann Bohachek to Carl J. Denbow, Varied. Earl Denbow was born in 1897. He married Margaret Miracle in 1917 at Ohio, USA. 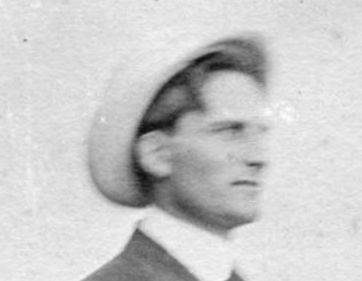 Earl Denbow died in 1921. He died in 1922 at Ohio, USA. Edith Denbow was born in 1821 at Harford, Maryland, USA. She married William Cochrane in 1841. Her married name was Cochrane. Edith Denbow was born in 1906. Edward Clifford Denbow was born on 23 August 1881 at Lewisville, Monroe, Ohio, USA. 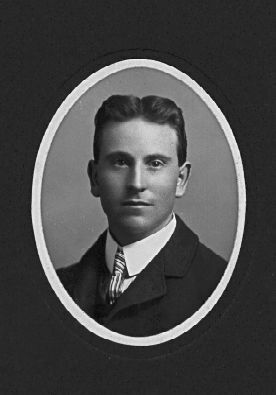 He married Edna Esther Gigax, daughter of Frank Gigax and Esther Ardelia Haldeman, on 27 June 1906 at Zanesville, Muskingum, Ohio, USA.1 Edward Clifford Denbow died on 27 June 1960 at Woodsfield, Monroe, Ohio, USA, at age 78. [S193] MC: Edna Gigax-Edward Denbow. Eleanor Sarah Denbow was born on 23 March 1909 at Vinton, Ohio, USA.1 As of 1932,her married name was Harpster.1 She married Carl Clayton Harpster in 1932; They were divorced and remarried and then divorced for the final time in 1946.2 Eleanor Sarah Denbow was an attorney at the divorce proceedings of Carl Clayton Harpster and Eleanor Sarah Denbow in 1946; This was apparently the second time that they divorced. Not sure when the first time was or for how long, but they were remarried.3 As of 1973,her married name was Fadden.2 She married Roland Fadden in 1973.2 Eleanor Sarah Denbow and Roland Fadden were divorced circa 1985 at California, USA.4 Eleanor Sarah Denbow died in 2003 at California, USA. [S30] "Contemporary FGS", FGS filled out by Ann Denbow Burrows. [S30] "Contemporary FGS", FGS filled out by her sister, Ann Denbow Burrows. Elijah Denbow was born in 1785. He I'm not sure if this guy really exists. He's not list in theThompson Book and I don't remember why I entered him. 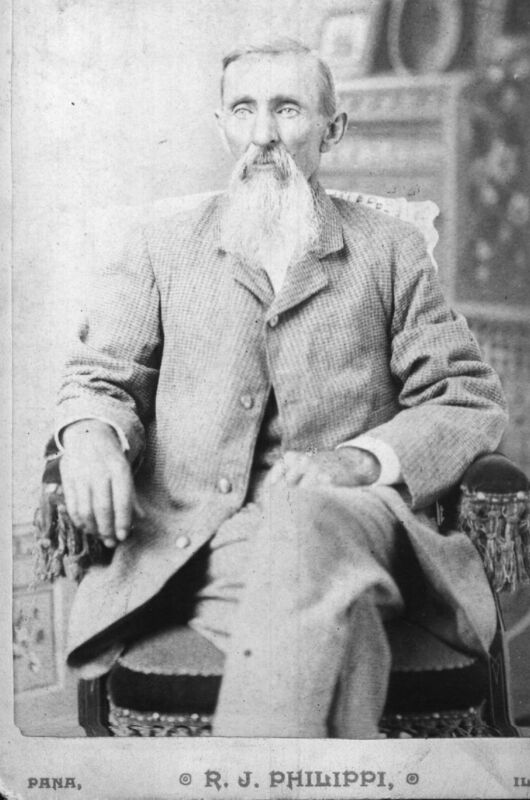 Elisha Denbow was born on 10 July 1834 at Carroll, Ohio, USA. He married Theodosia Reed on 9 April 1857 at Bloomfield, Washington, Ohio, USA; Ministers name: George Carr. Elisha Denbow began military service on 5 October 1861 at Co C., 77th Ohio Volunteer Infantry, Ohio, USA, Residence was not listed; 28 years old. Enlisted on 10/5/1861 as a Corporal. 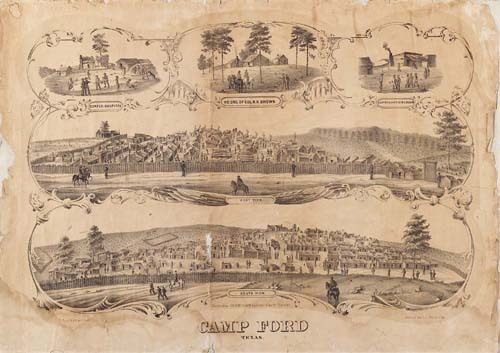 He was a POW for ten months at Camp Ford in Tyler, Texas, where, in his own words, "I suffered much for the country. "1 He died on 26 April 1889 at Rosamond, Christian, Illinois, USA, at age 54. Elisha Sherman Denbow was born on 31 October 1864 at Ohio, USA.1 He married Laura Anna Jones on 5 January 1891 at Christian, Illinois, USA. Elisha Sherman Denbow died on 21 March 1931 at Christian, Illinois, USA, at age 66. Eliza Denbow was born in August 1850 at Missouri, USA. Eliza Jane Denbow was born on 25 September 1862 at Lewisville, Monroe, Ohio, USA.1 She married Labe Thompson in 1882. Her married name was Thompson. [S74] 1870 U.S. Census, 700 Pennsylvania Ave., NW, Washington, District of Columbia, USA, Clay Township, Knox County, Dwelling# 105, Family# 105.